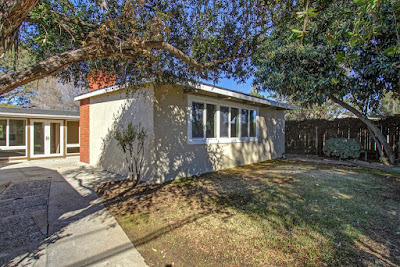 The Parkwood Covina subdivision in West Covina, CA is a great example of early Palmer & Krisel tract homes. 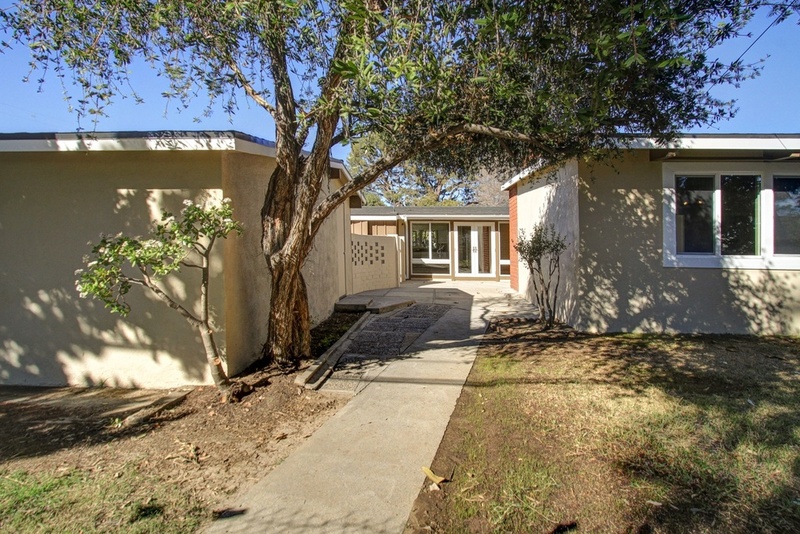 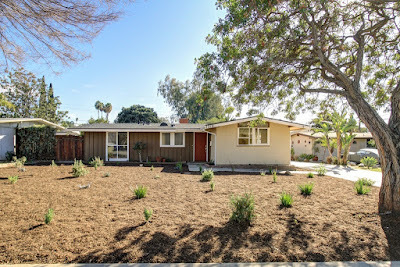 Built in 1953, this expanded home features four bedrooms and two-and-a-half bathrooms in 1,813 square feet, sits on a 7,000 square-foot lot with a detached rear-yard garage and carries an asking price of $548,000. The home recently sold for $331,000 and has recently been the recipient of a flip. The exterior boasts new paint, and a new water conserving landscape with randomly placed plants has been installed. 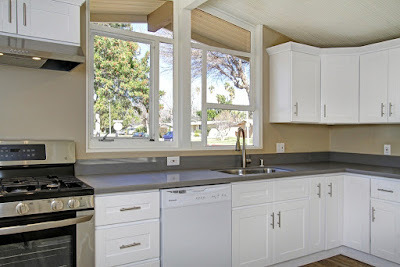 A small addition has long been placed on the front of the home, and houses the kitchen. 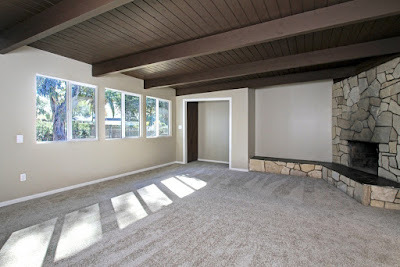 Entering the home, the living and dining room sit at the rear southwest corner of the home, and the demising walls between the kitchen and dining room have been removed. 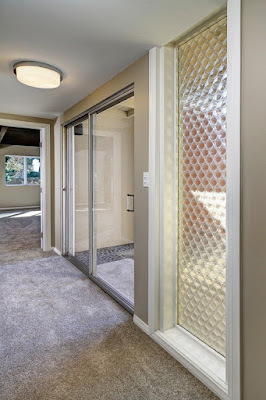 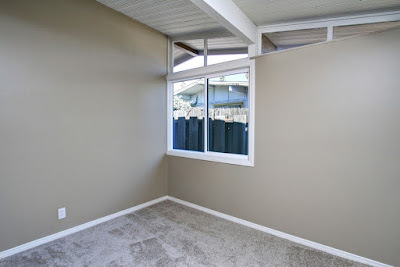 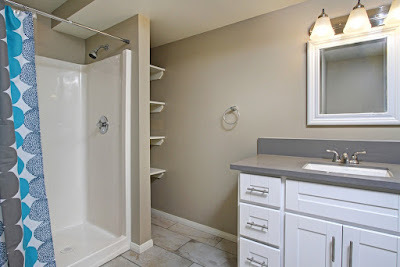 While popular, the removal of the demising walls removes privacy and division in smaller homes, and can actually make a space appear smaller. 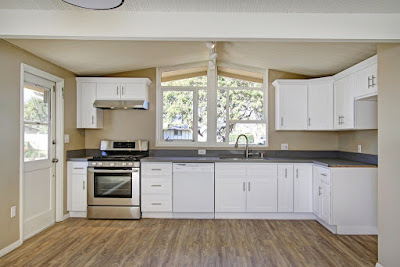 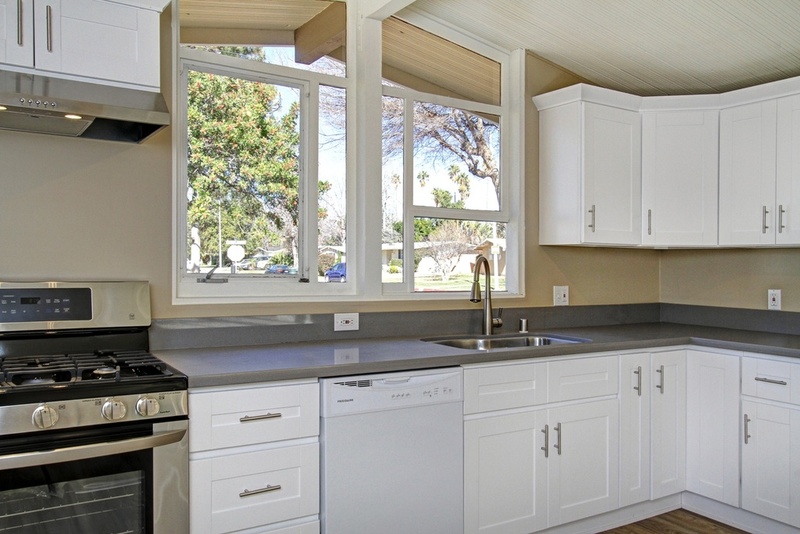 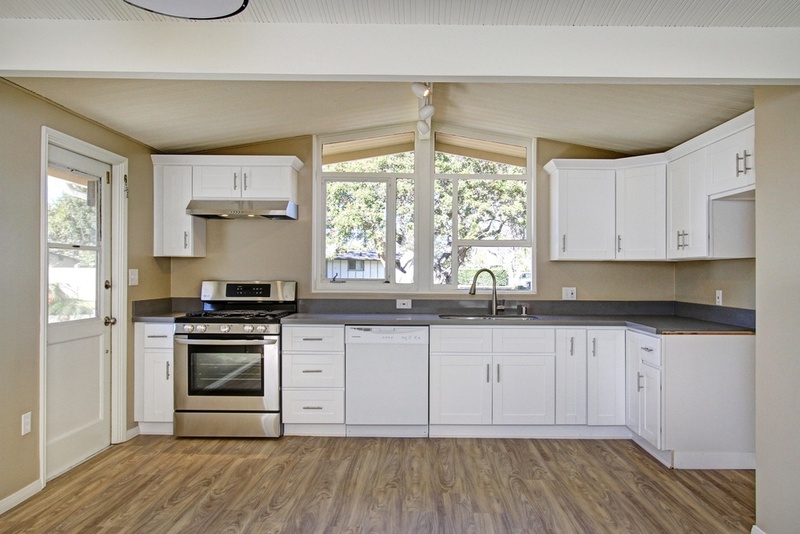 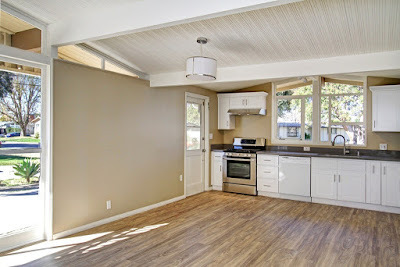 The kitchen has been renovated with new white shaker-style cabinets, a white dishwasher, stainless steel stove and no fridge exposing an unfinished counter edge. 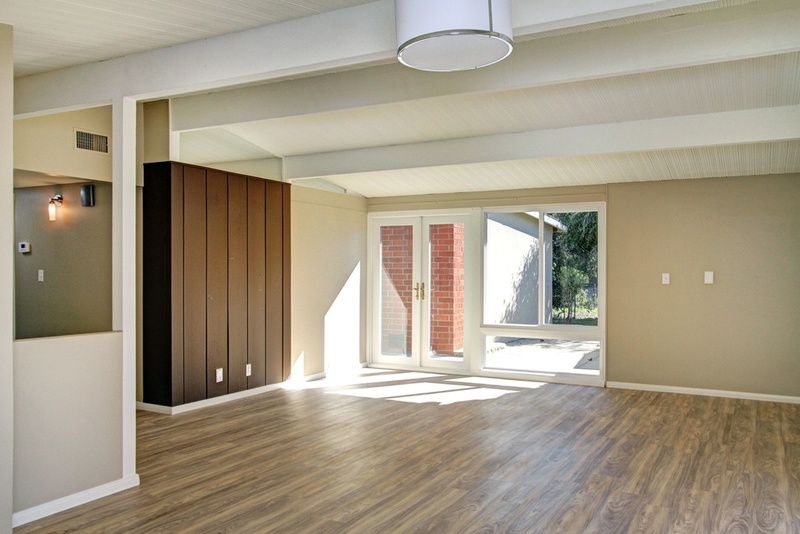 West-facing clerestories have sun-shielding louvers placed over them, along light to flow in while eliminating direct sunlight. 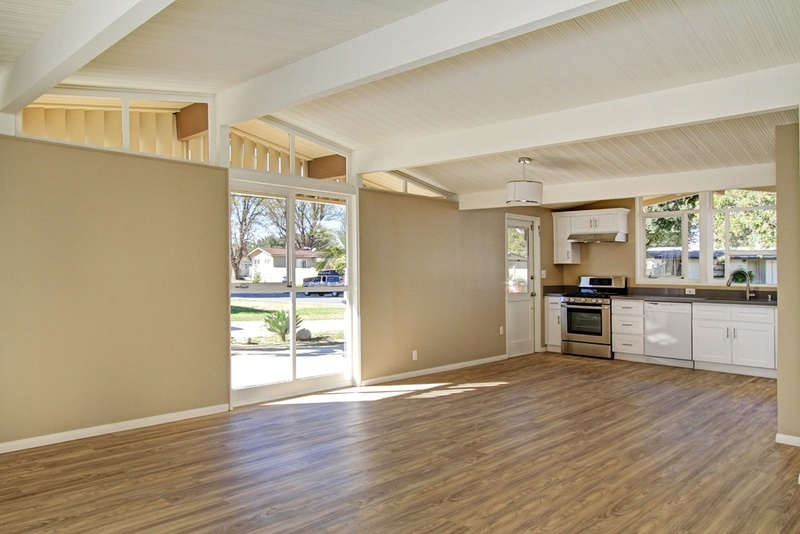 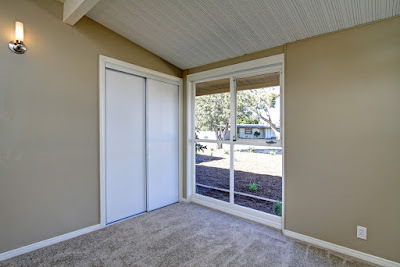 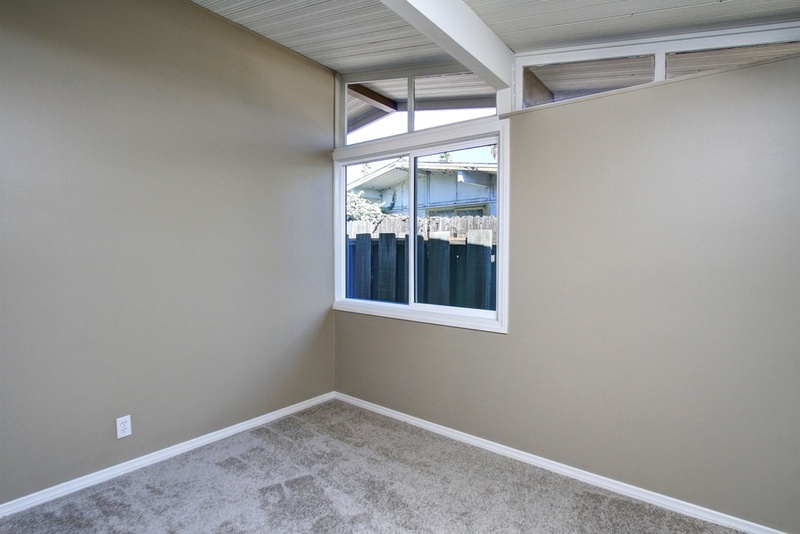 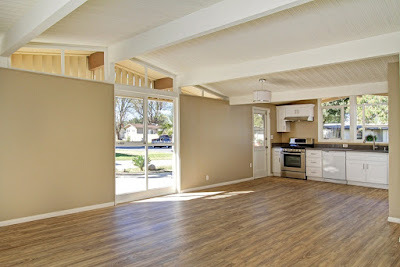 Laminate floors, and beige paint with white trim round out the room. 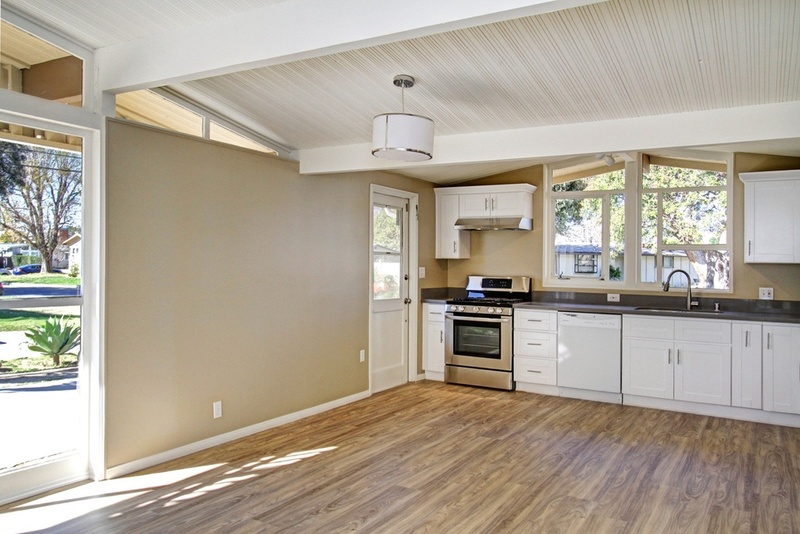 To the flipper’s credit, at least there’s a brown accent wall for one portion of the room. The home was originally built as a three bedroom, and features a large master bedroom with fireplace addition at the rear of the home. 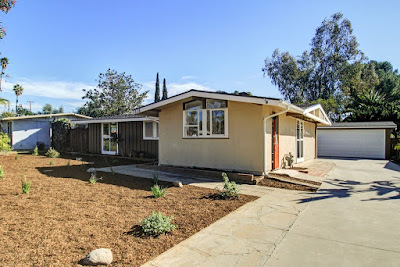 This addition appears to have been placed on the home in the late 1960s, and features a great yellow bottle-glass window and stone-covered fireplace. 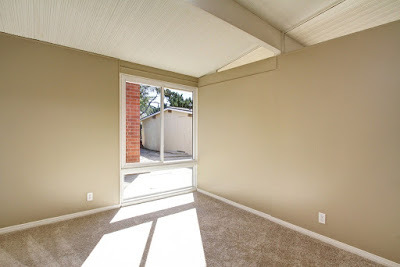 The original master bedroom sits at the front corner of the home, and features east-facing clerestory windows, while the original secondary bedrooms sit at the back of the home. 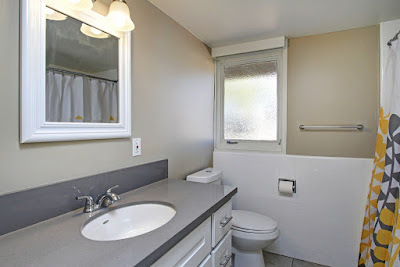 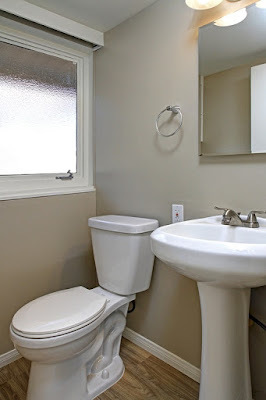 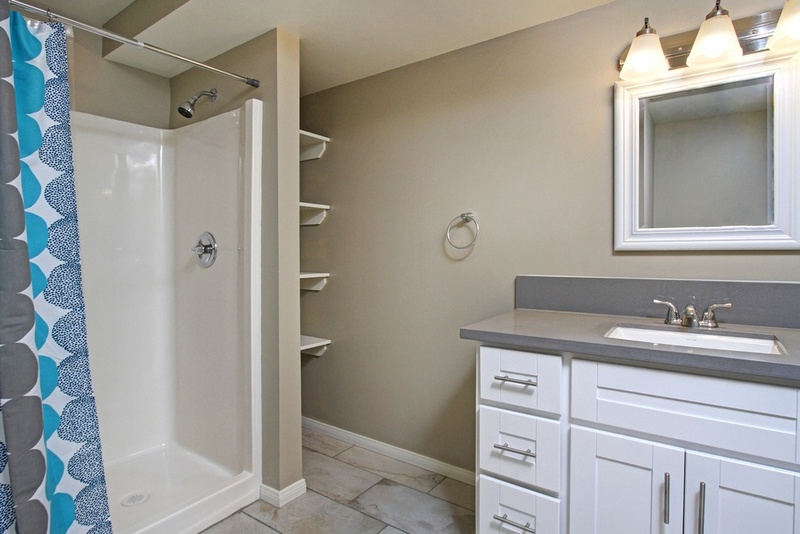 All bathrooms in the home have been updated with newer materials, including vanities that match the kitchen cabinets and counters, and white subway tile. The backyard is mainly occupied by the large master bedroom addition and the rear garage, and contains a small patio space and turf area. 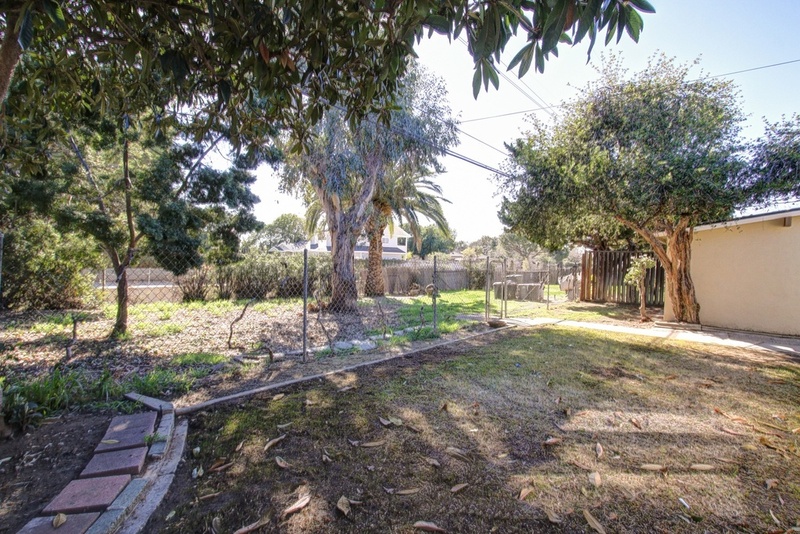 The backyard also contains a second, enclosed area that features more naturalistic landscape separated from the main yard by a chain-link fence.